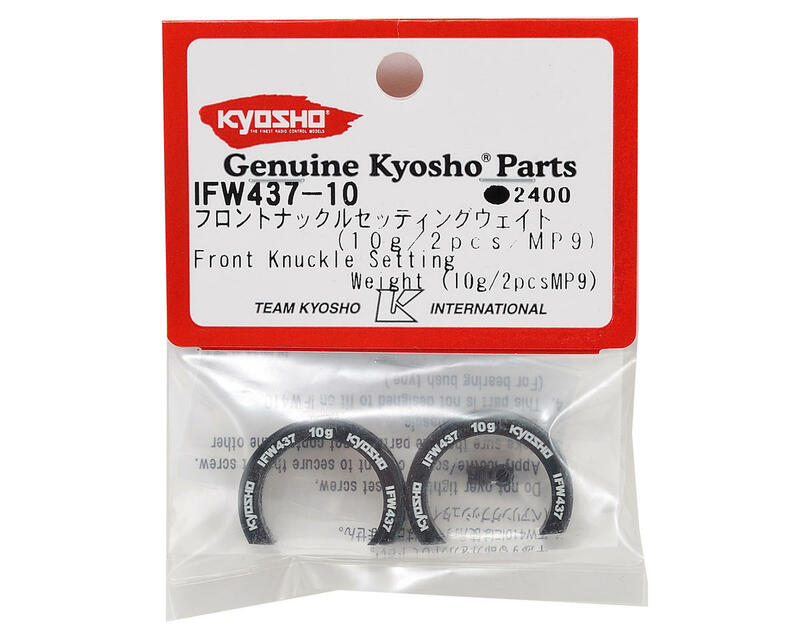 This is an optional Kyosho 10g Front Knuckle Weight Set, and is intended for use with the Kyosho MP9 family of vehicles. 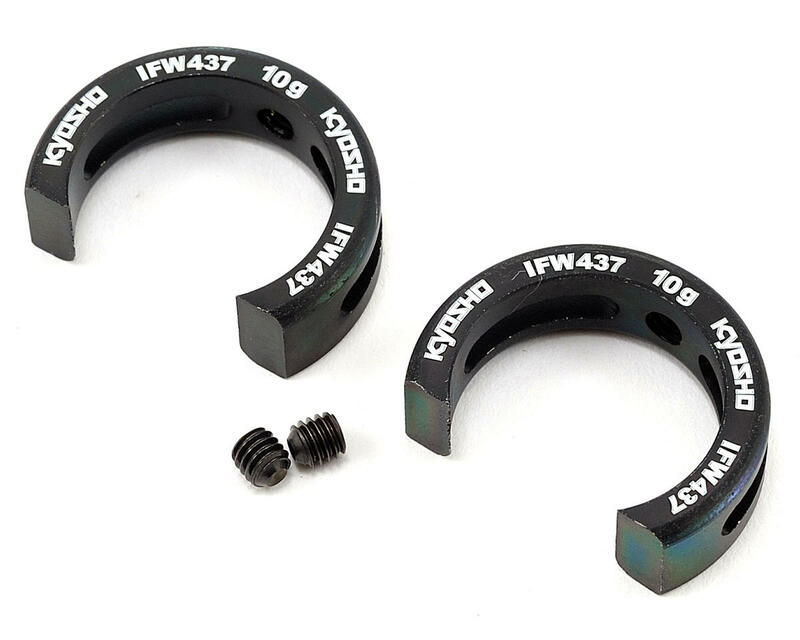 These outboard type weights are secured to the steering knuckles with a set screw and add 10 grams of unsprung weight to the outer end of each suspension arm. These weights are said to help improve overall handling and steering response.